1) We live in a world where we must be prepared for any type of emergency. 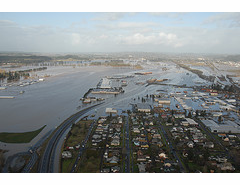 It may be a natural disaster or it may be man made. In either case become informed on emergency situation your geographic area, and prepare a Disaster Survival Kit (3 day kit) with those specific needs in mind. It should contain at least 3 days (7 days is better) supply of food, water, shelter (tent), sanitation, first aid, and communication needs for each member of your family. Then you will want to customize your emergency disaster survival kits to fit your specific needs such as medicines, important documents, cash money, extra clothes, wet weather gear, sun protection and items you feel of importance. Pets need to be thought of also when preparing for disasters, they need emergency kits too! Also don't forget emergency disaster survival kits in the car, work, school and at your church. 2) Make an emergency plan with you and your family, focus on disasters and emergency possabilities in your neighborhood and make a plan for those different senerios. Plan what your family will do in a shelter in place senerio. Plan what your family will do in an evacuation senerio. Have a place where everyone can meet if you can't get home. Also have an emergency contact person out of state that everyone can call to check in with. It may be easier to make a long distance call, than it will a local call. 3) Practice your emergency plans make sure the whole family gets involved. Role playing is a good idea so everyone knows what to do. It's also a good idea to stay informed on disaster situations, in todays world they are always changing. Finally get involved in community response teams in your city and neighborhood. If you and your family are prepared, then you will be able to help others in your community who are in need of help. Welcome! 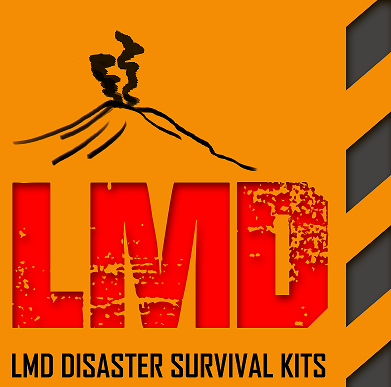 We thank you for visiting LMD Disaster Survival Kits & Supply LLC. We know that there has been a lot of talk about 72 Hour Disaster Survival Kits, having an emergency plan and getting prepared. Well we have been listening also and we have put together kits of all kinds with some of the best prices to be found anywhere. Preparing for disasters and emergencies should be a concern of all of us. We go about our daily routines and don't give much thought to the "what if's" As you prepare yourself and your family by purchasing or making 72 Hour Disaster Survival Kits ask yourself some "what if's". 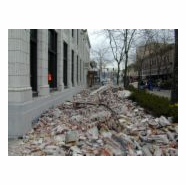 What if you had an earthquake today? Would you be ready? What if you had a terrorist attack on your city? How about if that severe storm hits? There are many emergency situations, and we all need to prepare for them. Where will you be when disaster strikes? At work? On the freeway? Where will your spouse and children be? What if your neighborhood is evacuated? Do you have supplies to take with you? What if you needed to "shelter in place"? Would you have supplies to last a minimum of 3 days? As you see there are numerous "what if" possibilities. Prepare for those emergencies that are most likely to happen in your community. 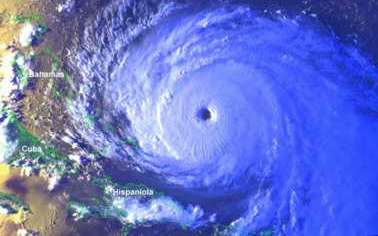 You must have 72 hour Disaster Survival Kits & supplies in your home, in your cars, at work, friends homes, school, church, any place you can. There is no such thing as too prepared! Having 72 Hour Disaster Survival Kits & supplies and being able to take care of ourselves for at least 3 days in a disaster situation is very important. We offer all different types of kits, they are all top quality and contain a wide variety of supplies . They are used by government agencies and have been put to the test in emergencies and disasters of all kinds. BACKPACK KITS: We recommend backpack kits for there mobility, they are easy to carry by hand or back. The backpacks have room for additional supplies and room for customizing for each member of the family and for the emergency potential you are preparing for. FIVE GALLON BUCKET KITS: The 5 gallon buckets keep lots of supplies dry and safe from the elements. It is recommended to keep these kits somewhere on your property outside if possible incase of a structure collapse. The buckets have additional uses during an emergency, such as a porta potty. The 5 gallon buckets are great for families, businesses, or groups. HARD PLASTIC CASE KITS: The hard plastic survival kits are ideal for cars, trucks, boats, RV's, or any other place they may receive rough treatment, the hard plastic will protect your supplies. Purchase these to add supplies to your larger kits to be prepared for more days or support more people. HARD PLASTIC FIRST AID KITS: Be ready for emergencies at home, work in the car or anywhere. First aid kits are needed in our every day lives, but in a disaster situation you will be happy you have one. These hard kits will protect your supplies and are specially designed to save time and frustration in the midst of a emergency situation.